Departing Roundtrip Lyon, France. Visiting Macon, Chalon Sur Saone, Tournus, Lyon, Avignon, Arles, Chateauneuf du Rhone, Le Pouzin. 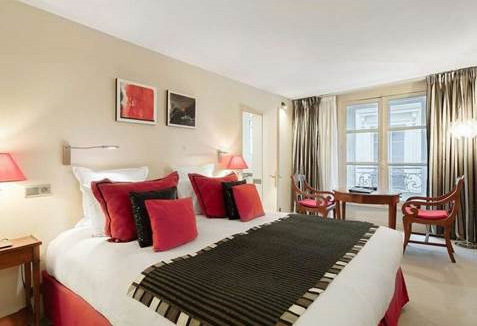 Set along a narrow peninsula between the Rhone and Saone Rivers, Lyon is located in the heart of France's Provence region. Visitors can take in panoramic views from atop Fourviere Hill and step into the past when they tour Vieux Lyon's (Old Lyon's) cobblestone streets and 16th century architecture. Now an important educational center, Lyon's cultural life is reflected in its buildings, museums and houses. Dominating the skyline is the Basilica of Fourviere, known for its lavish interior decorations of marble and mosaics. Macon is on the banks of the Saone river in the Saone-et-Loire department of France, to the south of the Burgundy region, north of Lyon and near Cluny. The town is the most southerly in Burgundy, and perhaps the first town that you come to heading when south through France that feels 'Mediterranean', with canal tile rooves and pastel painted buildings. 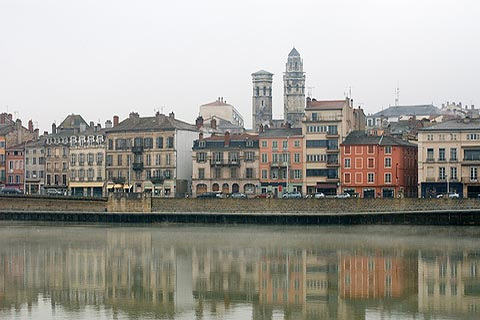 With a history dating back more than 2000 years, Macon prospered thanks to its historical position as an important border town to the east of France, and on an important trading route. The town and region, like many in Burgundy, are now very well known the local wine. Considered an important center for the wine trade, Chalon-sur-Saone is the entrance to France's famed Dijon region. The city's fine quays border the Saone River at its junction with the Canal du Centre. The two lofty steeples of the 17th century Church of St. Pierre can be seen from anywhere in the city. Other architectural treasures and historical sites include the crypt of St. Benigne and 13th century Church of St. Vincent. Tournus is located on the right bank of the Saone, 20 km. northeast of Macon on the Paris-Lyon railway. Avignon is a commune in south-eastern France in the department of Vaucluse on the left bank of the Rhone river. Of the 90,194 inhabitants of the city (as of 2011), about 12,000 live in the ancient town centre enclosed by its medieval ramparts. Arles is a town in the Provence in the southeast of France. 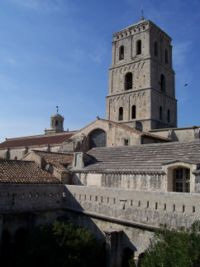 Remote, uneventful, but definitely no waste of time, Arles is absolutely steeped in ProvenÃ§al culture. The museums are small, but have some interesting artifacts. Unfortunately there are no Van Goghs to be found in the city, despite the fact that his residence in Arles was his most productive. Chico Bouchiki, co-founder of the Gypsy Kings, as well as the rest of the band, is from Arles. Take a lazy stroll along the RhÃ´ne, dip into a cafÃ© and continue strolling. Chateauneuf-du-Rhone is a commune in the Drome department in southeastern France. Le Pouzin is a commune in the Ardeche department in southern France. FREE TRAVEL APP ...the world in your pocket. Disclaimer: All advertised events are exclusive to guests who book through Aquafest only. Aquafest Cruises are group events and not chartered vessels. All rates are cruise only and per person, based on double occupancy subject to availability at time of booking. Non-discountable fees and taxes, airfare, air taxes and transfers are additional. Events based on a minimum of 50 group passengers. Pricing and other information may change without notice. We reserve the right to correct errors. Information and pricing are subject to change without notice. All cancellations are subject to a $50 per booking cancellation fee from Aquafest in addition to any vendor cancellation penalties. Trip Cancellation Insurance is strongly recommended for all reservations. More information will be provided to you at the time of booking confirmation. Please contact us for a more detailed description of restrictions, cancellations, and penalties. Please ask us about rates for Suites, Mini-Suites, and other cabin categories not shown. If you are a PAST PASSENGER, Senior citizen, Military, or have Special Coupon Offers, please advise your Aquafest agent at the time of booking.